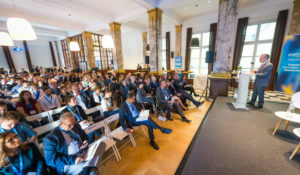 The fifth edition of the EARTO Policy Event was held on 16 October 2018, 14.45-18.15, at the BIP Info Place in Brussels. The event gathered representatives from RTOs, EU institutions, industry as well as other key R&I stakeholders. The programme featured two keynote speeches by Carlos Moedas, EU Commissioner for Research, Science and Innovation, and by Manuel Heitor, Minister of Science, Technology and Higher Education of Portugal. Following was a high-level panel discussion with key representatives from RTOs, EU institutions and industry.